Shopper bag wide and comfortable. Ideal for the city, daily work and holidays. PO (Outdoor) Line: 55% hemp, 45% organic cotton. Brown/Camel color. Shopper bag wide and comfortable. Ideal for the city, daily work and holidays. The large main compartment closes thanks to a long zip. On the front there is a pocket on the top and one with zip closure in the middle. 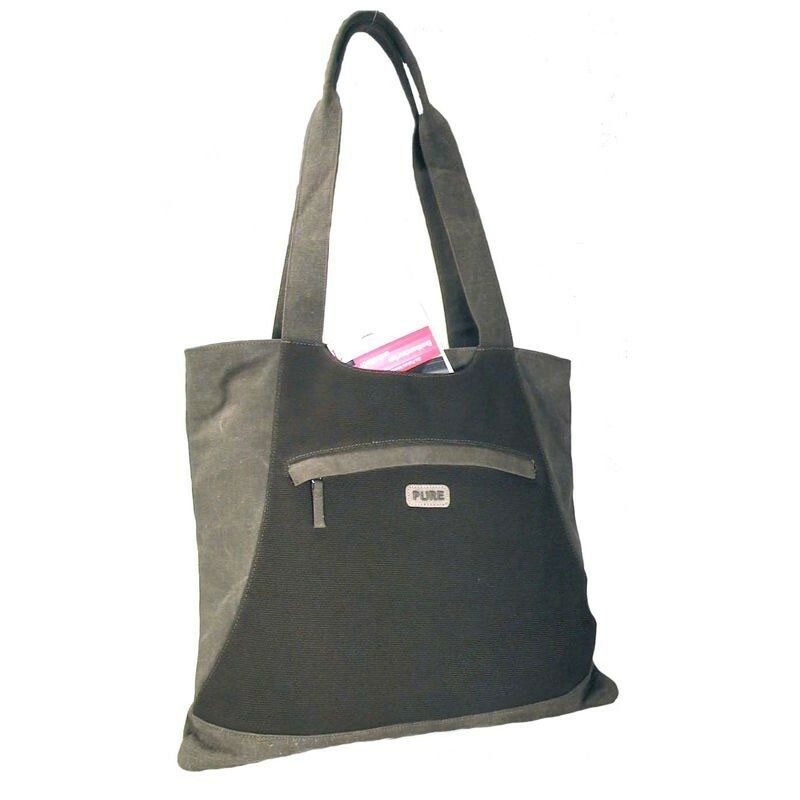 The bag has two straps of fabric, just to easily carry the bag on the shoulder. To guarantee resistance and impermeability, a 100% biodegradable EVA coating is present inside. Measures: height 43 cm, width 38 cm, depth 9 cm.